Line a large flat counter space with parchment paper. Pour the popcorn on top of the paper and spread out evenly. Place the chocolate chips into a microwave safe dish and microwave until melted, stirring every 20 seconds. Once melted, drizzle over the top of popcorn. Repeat the same process with the peanut butter. Sprinkle the popcorn with sea salt. 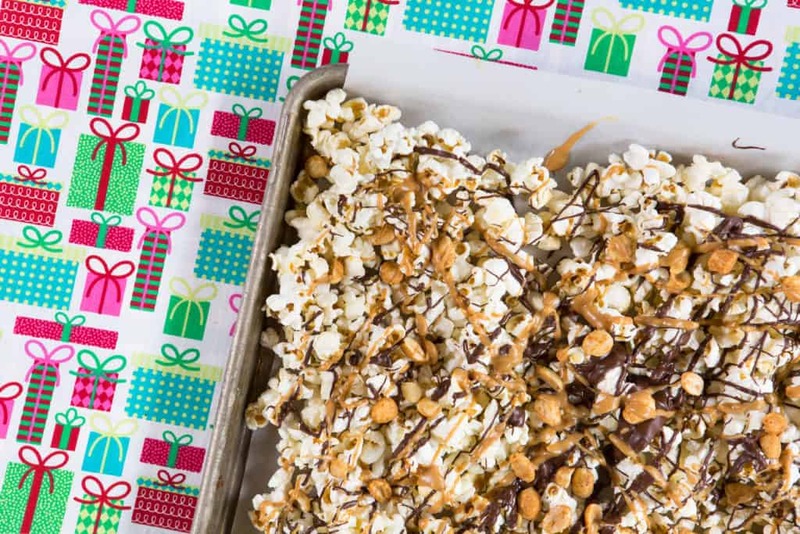 Allow the chocolate and peanut butter to harden on the popcorn and then add the peanuts. Store the popcorn in an airtight container or package for gift giving.